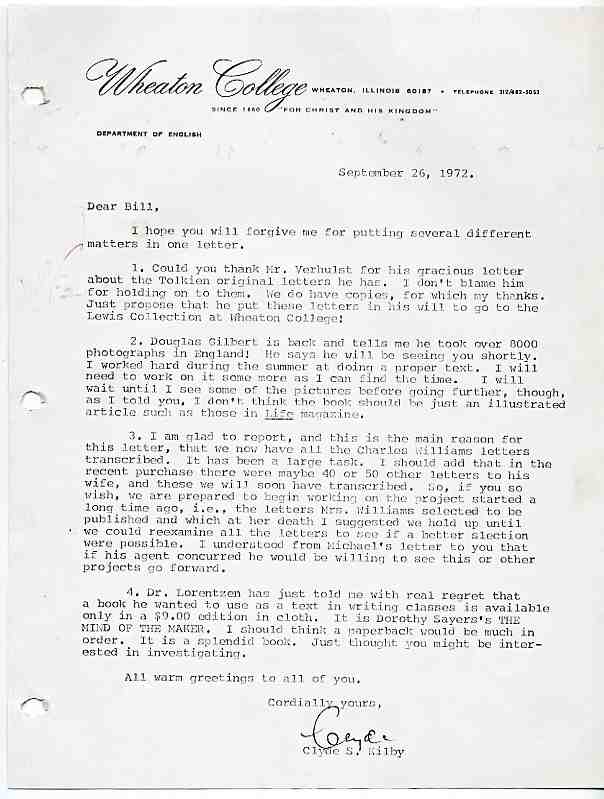 Very interesting lot of letters discussing Charles Williams, C.S. Lewis. and the unpublished book by W.H. Auden on J.R.R. Tolkien. Lot of correspondence between J.R.R. 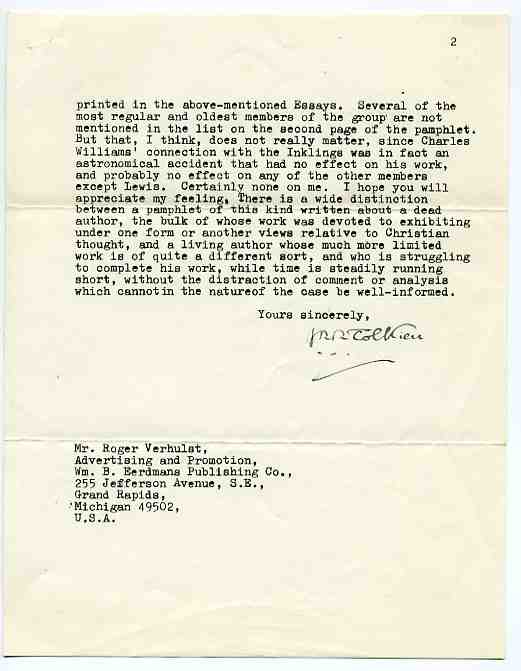 Tolkien and Roger Verhulst - The collection includes 4 JRR Tolkien letters written in 1966 and 1967. The letters discuss a series of books on Christian authors that was published in the late 1960s; Charles Williams being one of those authors. 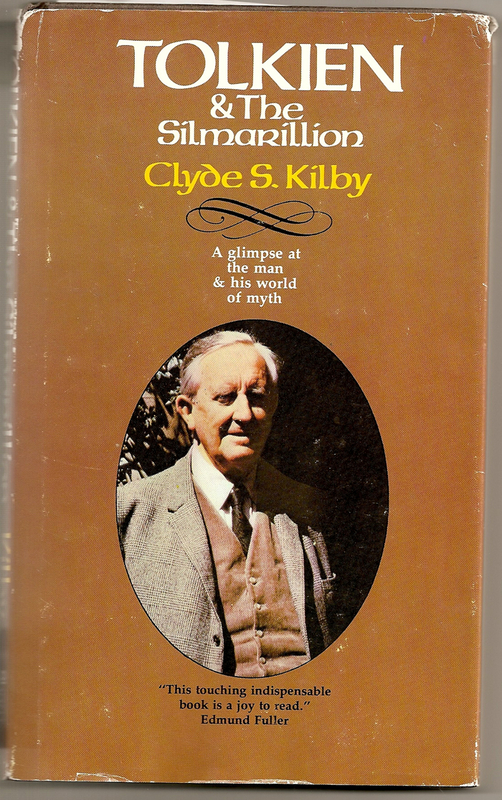 Clyde S. Kilby’s book on Tolkien and the Silmarillion quotes from one of the letters because the letters provide insight into the Inklings group -- specifically Charles Williams. These letters were also mentioned in W.H. Auden: A Legacy (2002 - David Izzo, editor) by Rod Jellema in an essay recounting W.H. 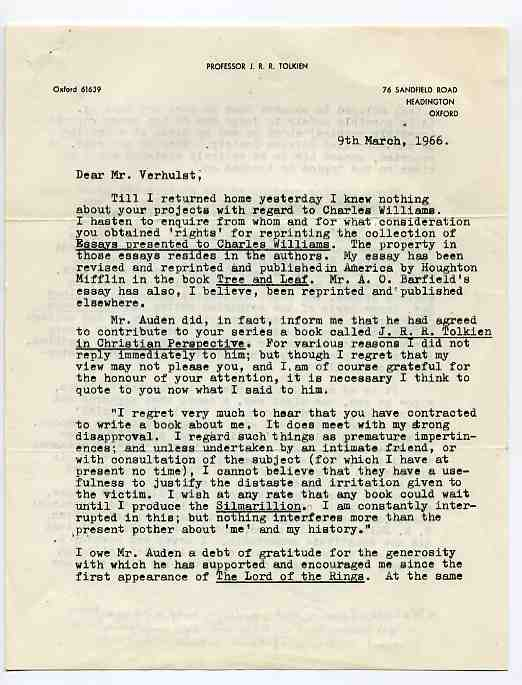 Auden's withdrawl from his contract for writing a booklet on Tolkien in the Eerdmans series. The essay is titled "Auden on Tolkien: The Book that Isn't, and the House that Brought it Down." This amazing lot of letters tells the story of the unpublished book by W.H. Auden on J.R.R. Tolkien. While these letters themselves remain unpublished they are however very important and have been mentioned in several publications. 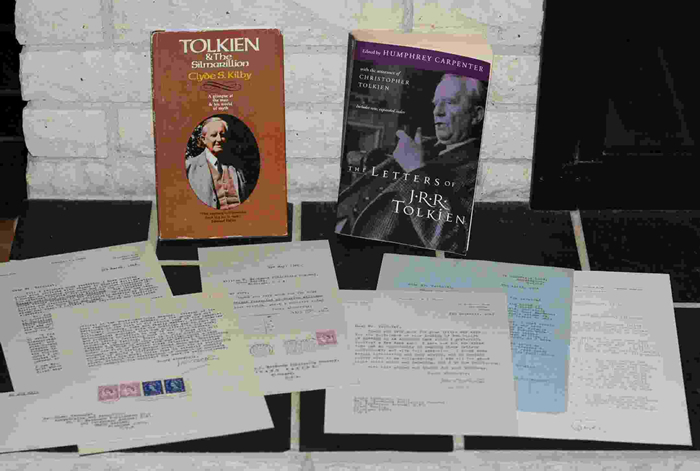 Here is an opportunity to own a piece of Tolkien history. TLS, three pages, 76 Sandfield Road, Oxford letterhead, 9th March, 1966. Signed by J.R.R. Tolkien. Accompanied by the original mailing envelope. In fine, clean condition. We present a J.R.R. 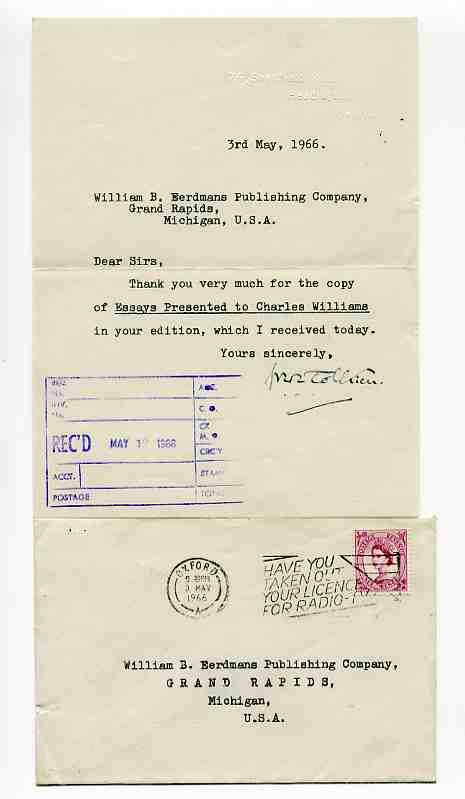 Tokien autographed typed letter discussing a Charles Williams project on which the Eerdmans Publishing Co. was working. This letter includes a hand-written note by Tolkien at the bottom of the second page. This letter was cited by Clyde S. Kilby’s Tolkien & the Silmarillion and other publications like The J.R.R. Tolkien Companion and Guide by Christina Scull and Wayne Hammond. 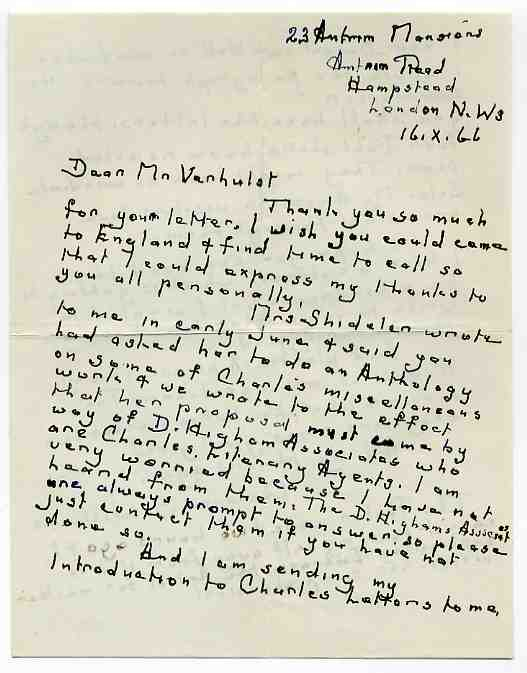 Tolkien replies to Roger Verhulst at Eerdmans, with some remarks concerning his relationship with Charles Williams, but presumably declining to comment on Shidelr's book. He explains that although he owes a debt of gratitude to Auden, he does not think that Auden knows him well enough to write a book about him. 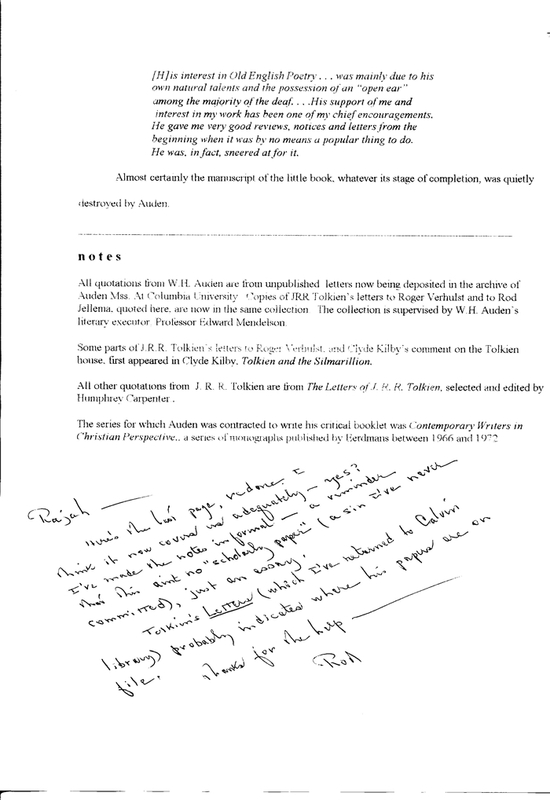 TLS, one page, 76 Sandfield Road, 8th April, 1966, dictated by Tolkien and signed by Phyllis M. Jenkinson (Tolkien's assistant). 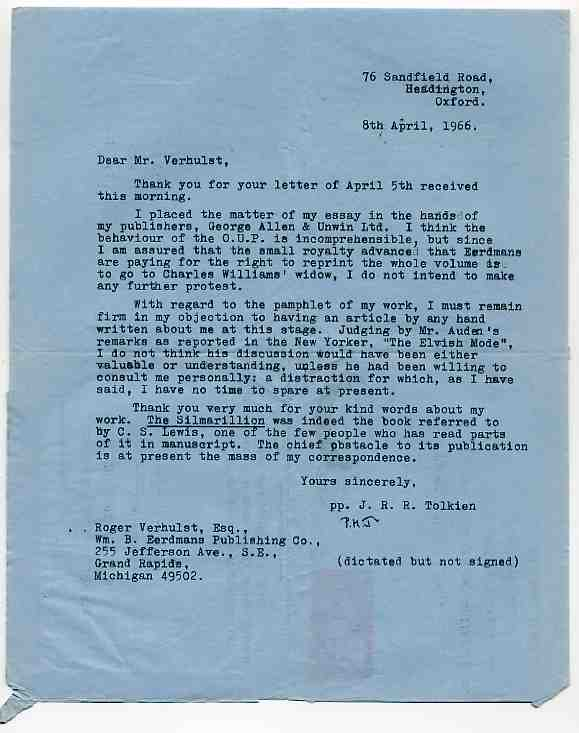 In this letter Tolkien objects (and declines) to participate in the Eerdmans’ book project. 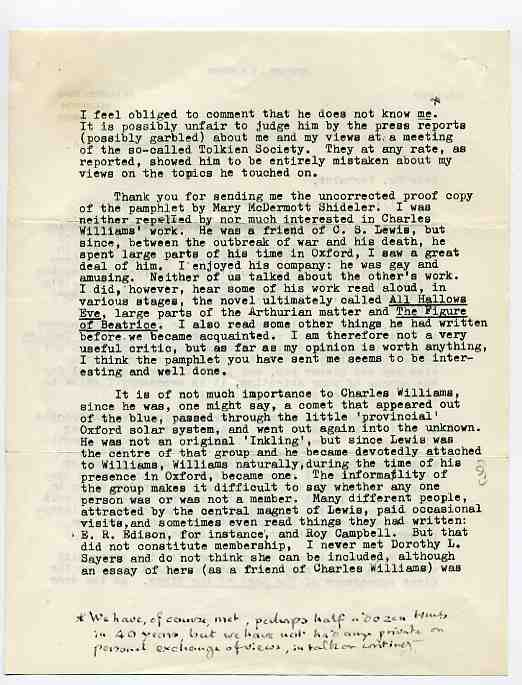 The letter also mentions the Charles Williams book project and Charles Williams’ wife. Tolkien talkes about The Silmarillion, mentioning C.S. 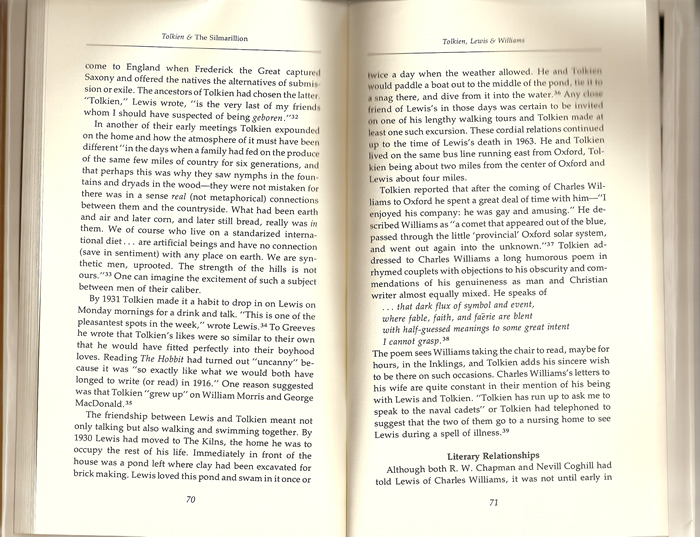 Lewis is one of the few people who has read parts of the manuscript and that the chief obstacle to its publication is the mass of Tolkien's correspondence. 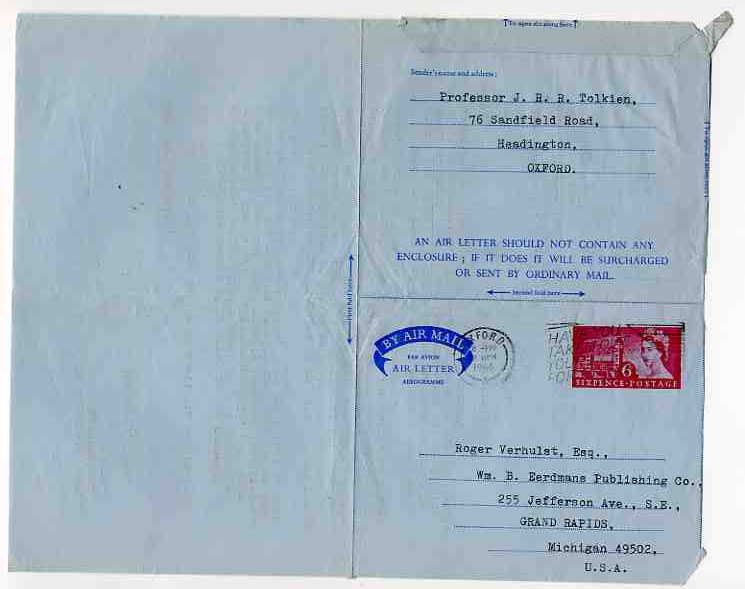 TLS, embossed 76 Sandfield Road stationary card, 3rd May, 1966. Signed by J.R.R. Tolkien. 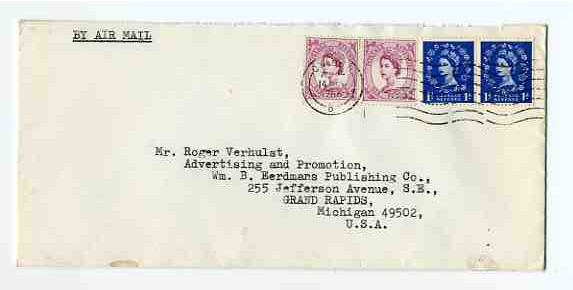 Accompanied by the original mailing envelope. In fine, clean condition. This card is a brief thank you note to the Eerdmans Publishing Co. for sending a book about Charles Williams to Tolkien. Includes fine flowing Tolkien signature. TLS, one page, 76 Sandfield Road, Oxford letterhead, 4th December 1967, signed by J.R.R. Tolkien. In fine, clean condition. 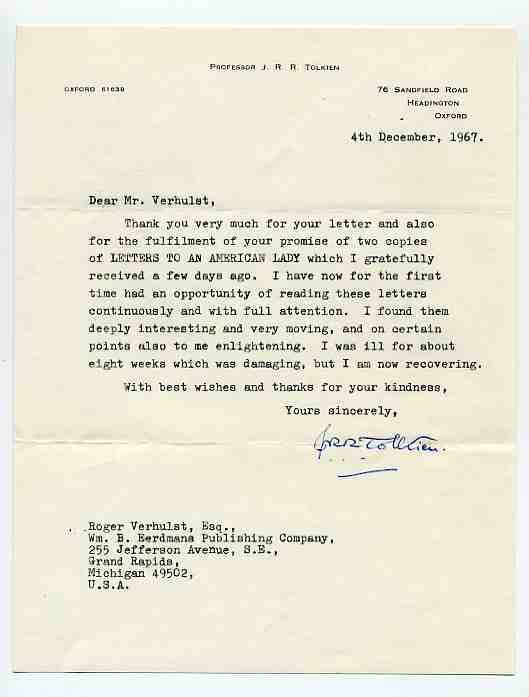 Letter two is a thank you note to Mr. Verhulst for two copies of "Letters to an American Lady", which he finds deeply interesting, and mentions that Tolkien is now recovering from an illness. This letter would look terrific matted and framed. Tolkien signature is clear. 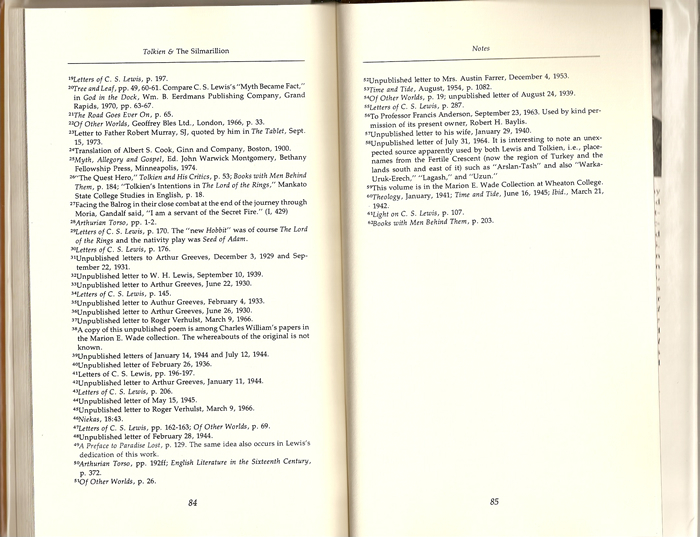 Clyde S. Kilby book referencing one of the letters from this collection. A copy of Letters: J.R.R. Tolkien. A copy of W.H. Auden: A Legacy edited by David Izzo. 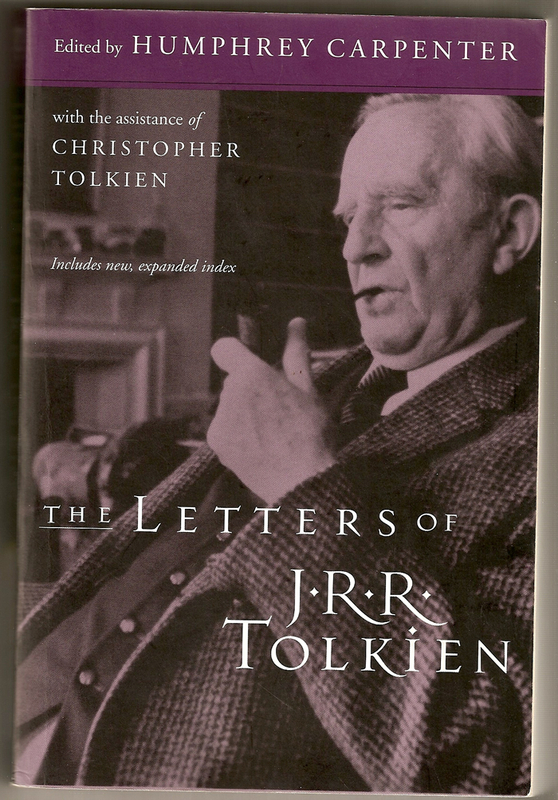 A copy of a letter by Clyde Kilby that discusses the Tolkien letters in this collection. 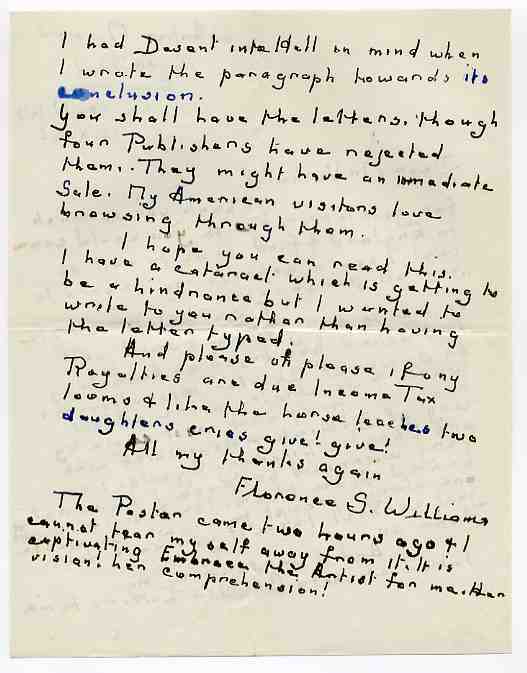 Two handwritten, original letters by Florence Williams, the wife of Charles Williams (Tolkien discusses both Williams and Florence Williams in these Tolkien letters, and the 2 letters by Florence Williams discuss this same Williams project).